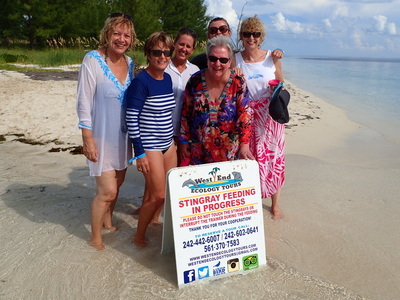 VISIT STINGRAY CAY FOR A once in a Lifetime Experience! 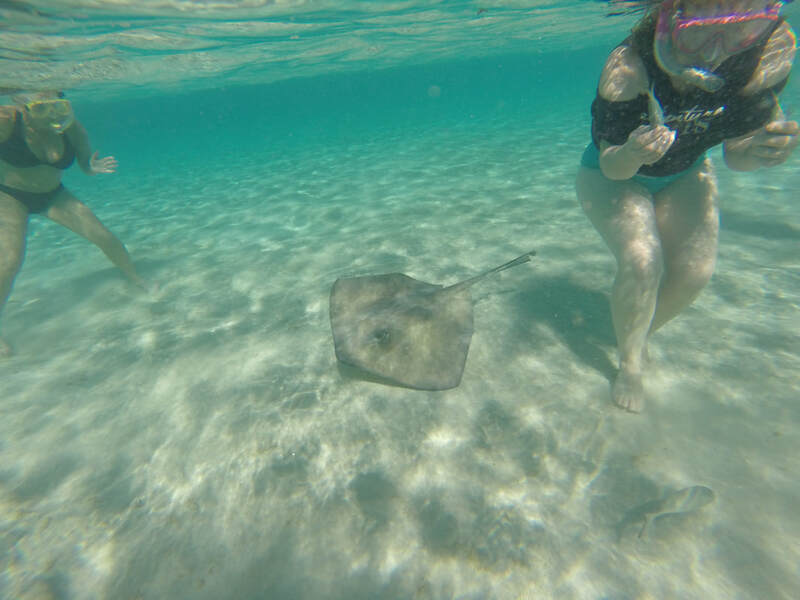 Ecology and tourism has become an important aspect of planning vacations for families, couples and close friends seeking an off the beaten path experience. 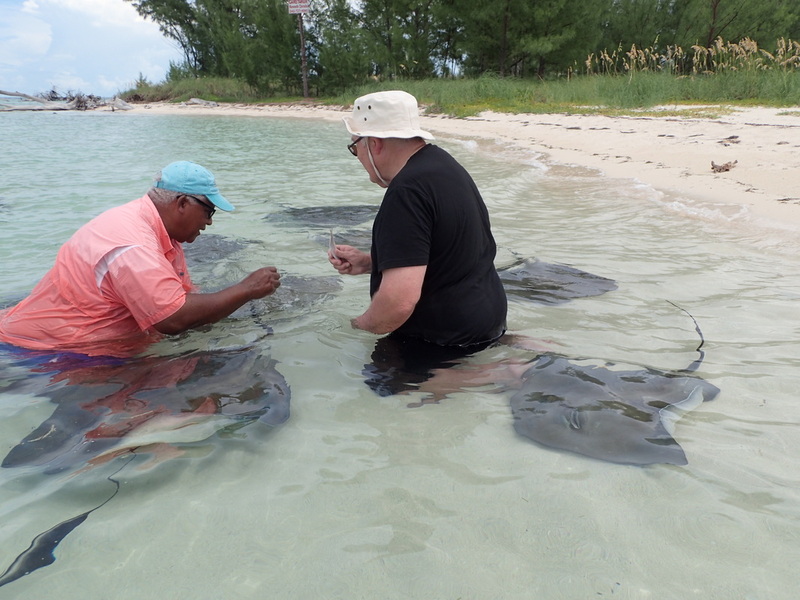 West End has a rich history and culture unique to Grand Bahama. 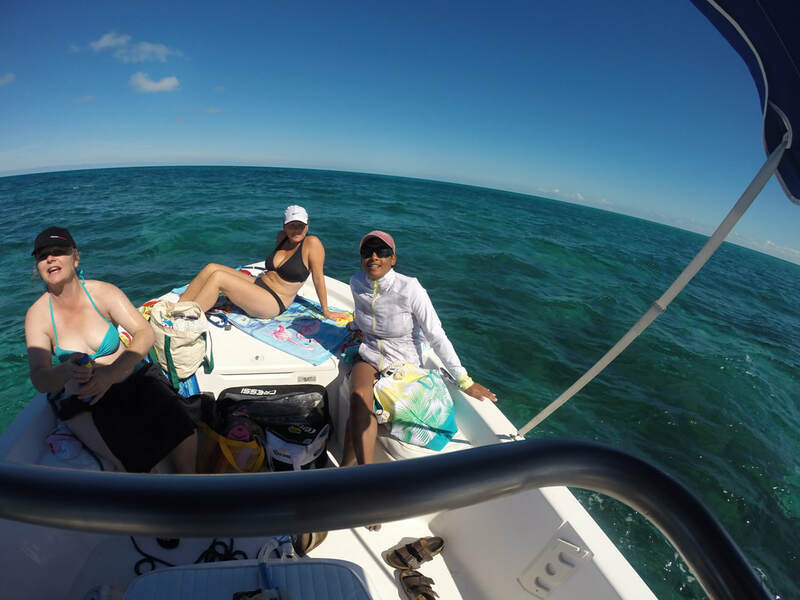 Our colorful past has attracted 1930's bootleggers and gangsters to legendary sport fishermen and boating enthusiasts from around the world. 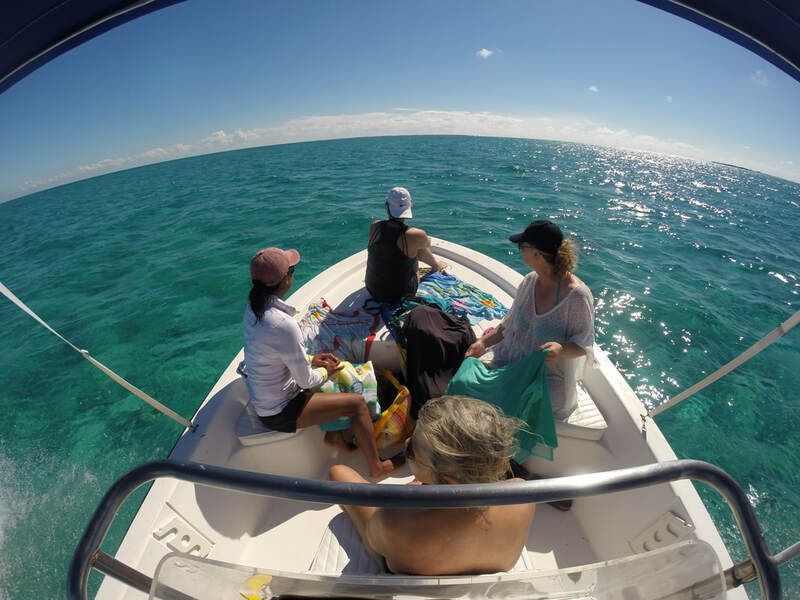 Enjoy an "Out Island" ecology tour full of natural wonders and beauty for a chance to observe various plant, bird and sea life in the area. Our eco-system is comprised of mangroves that serve as estuary havens for a variety of fish, migratory birds and an underwater reef system that has to be seen to be appreciated. 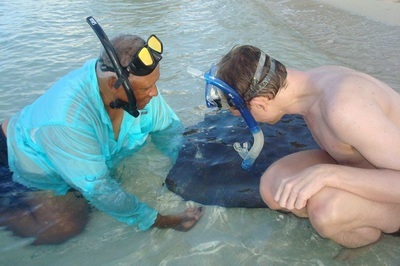 Visitors can choose from a unique selection of educational ecology experiences including our signature tour at "Stingray Cay". 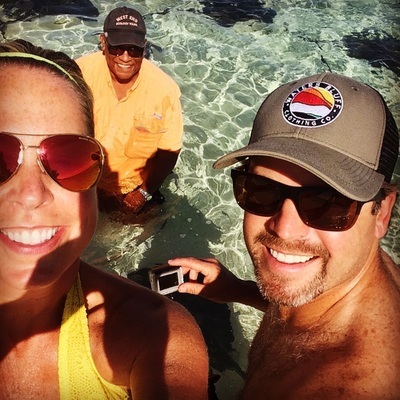 Reserve one of our ecology tours or request an optional customized add-on snorkel and fishing tour for a once in a lifetime experience that is simple, pure, and natural. 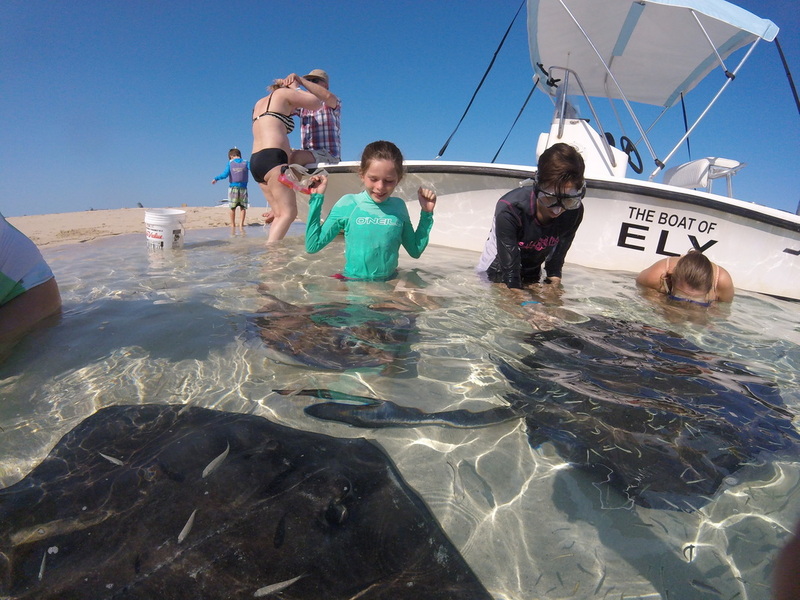 All Tours are Based on a Private Charter for 2 to 5 Adults/Children. Exceptions can be arranged to carry two additional children (Stingray Experience Tour only). 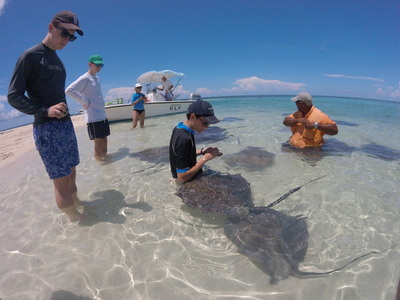 Our Stingrays Await Your Arrival. ​Located in the historic Capital of Grand Bahama we are close to excellent fishing, birding, wrecks, colorful reefs and nearby cays. 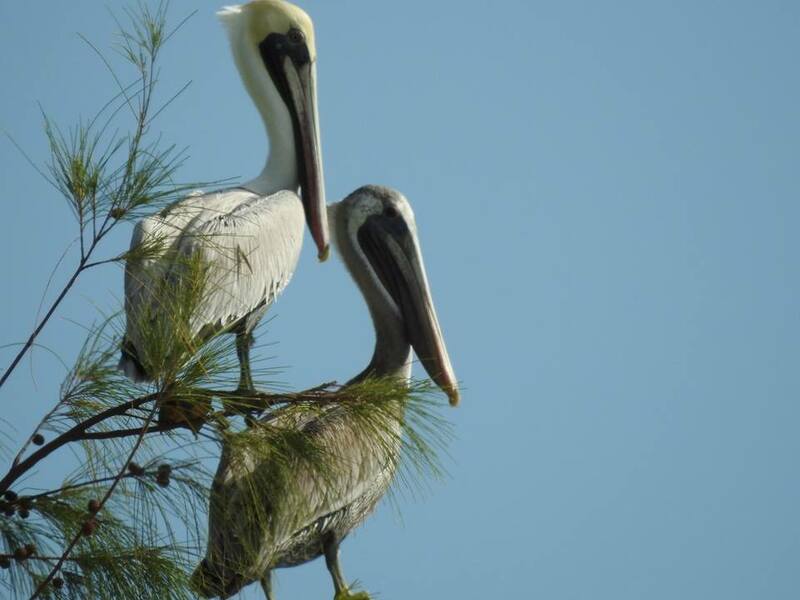 The area is a wildlife paradise known for sightings of dolphins, sharks, sea turtles and migrating birds throughout the year. 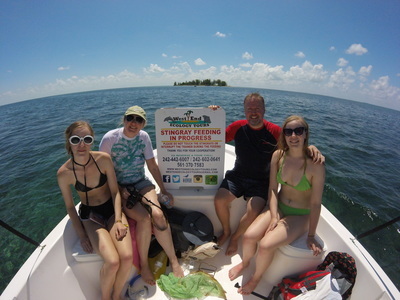 ​West End Ecology Tours has developed a unique marketing program for 2019 designed to offer past and new guests a cost saving ecology tour program – VALUE PRICE ECO TOURS. 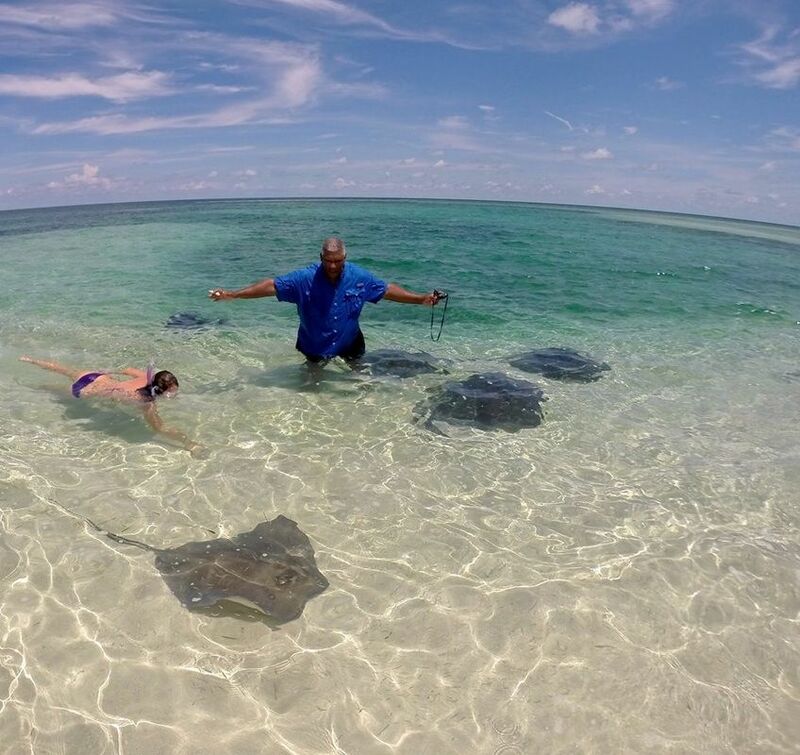 The plan is unique in that the cost of the 4 hour tours are reduced when purchased in bulk of 3 excursions and can be mixed or all the same - 1.Stingray Experience; 2. 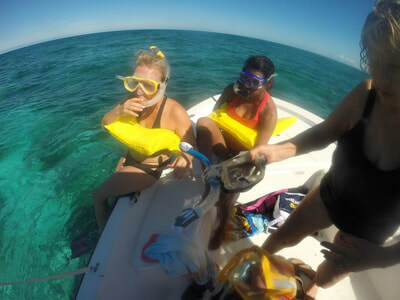 Reef Snorkel and 3. Reef Fishing all for $333.00 each when purchased together for a total of $999.00. Each tour is sold for $599.00 when purchased separately and is discounted heavily for this promotion. Great as a gift for family and friends as well as corporate incentives. Program is valid from Jan 5 to Dec 19, 2019. Tours must be booked on separate days. Contact us if this program is something that you, your family and friends, as well as your associates would be interested in this exceptional ecology program. For more information visit us on Facebook and TripAdvisor. 1. How much does the tour cost and do you welcome families? 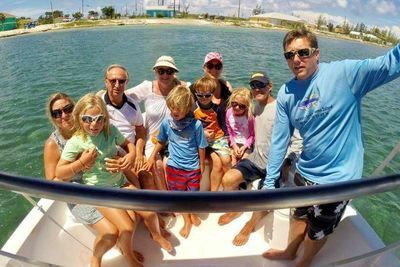 Whether you are a single guest or a maximum of 5 persons the charter price is as quoted when you select here or choose the "BOOK NOW" buttons for pricing. Couples, families, friends and grandparents are welcome to experience our tours. A tour confirmation is emailed within 48 hours upon receipt of payment(s). If you have any questions, please email us at westendecologytours@gmail.com or call our U.S. number 1-242-727-1156. 2. How long does the tours last and what is included? Guests are provided a 4, 6 or 8 hour tours that comprise a partial list of the following activities - a stop at a sunken boat wreck nearby to the cay offers guests the opportunity to view thousands of fish, stingrays or sharks that frequent the area. 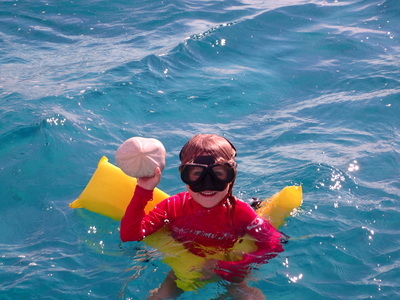 If time permits the boat may stop at Sea Biscuit Alley or snorkel a nearby coral reef teeming with sea life. If guests require snorkel equipment, please advise shoe size(s). Children snorkel gear is not provided. 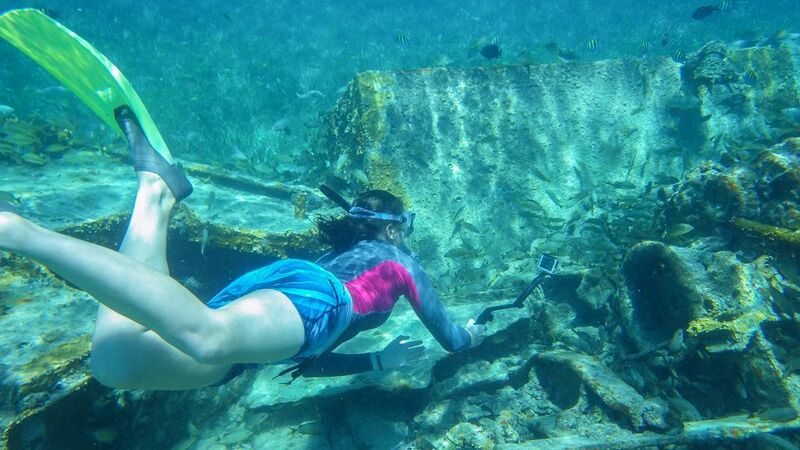 We also recommend you bring your personal snorkel gear for adults and children. 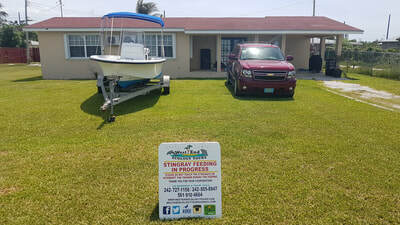 Fishing gear and bait as well as is supplied. Keep in mind the agenda could change due to weather and tide conditions. Light refreshments are provided. 3. Where does the tours depart from? 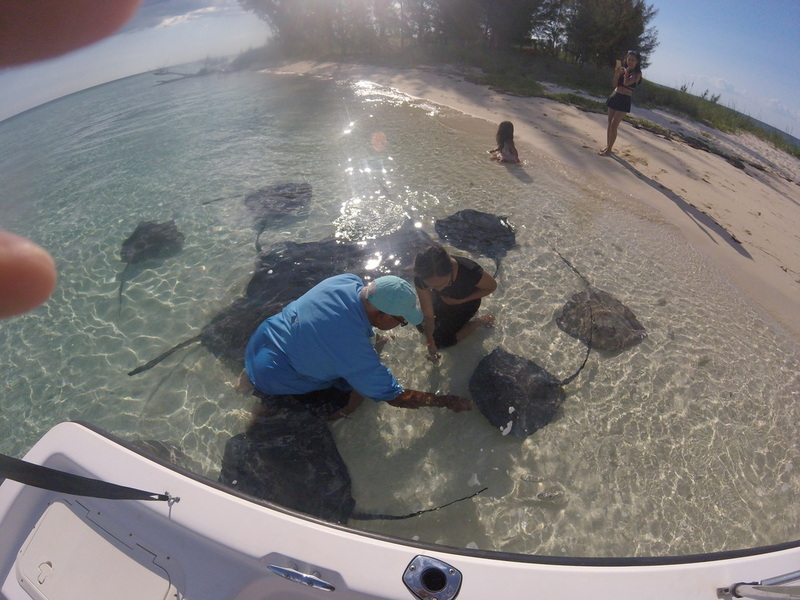 All tours depart from Old Bahama Bay Resort and Yacht Harbour. Directions can be found by clicking this link on Google Earth. 4. Do you provide daily tour departures and what times? Departure times vary daily due to the tide. Some departures may be in the morning, noon or mid-afternoon. 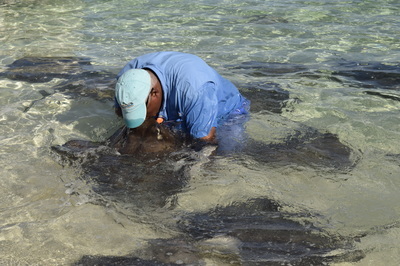 The sea surrounding the cay is very shallow which would make it impossible to arrive at low tide. Times will be provided upon request or before payment is made. 5. How do I get to your location and what are my transportation options? West End is a small fishing settlement. It is located 28 miles west from the main tourist town of Freeport/Lucaya on Grand Bahama Island (FPO). Guests have three options – a. hire a taxi driver which can cost over $160.00 roundtrip; b. car rentals are available at the airport or cruise harbor and costs vary from $75.00 to $120.00 per day; c. West End Ecology Tours will provide roundtrip pickup from Freeport/Lucaya and Freeport Harbour for $100.00 up to 6 persons. If you decide to have the tour company provide transportation pickup times will be confirmed once payment has been received for the tour. 6. Are there places to stay in West End? Yes, you can choose from several resort and home rentals in West End. Old Bahama Bay is a unique upscale resort located at the tip of Grand Bahama. This boutique beach front resort features include - swimming pool, watersports, activities, kids play area and dining options for breakfast, lunch and dinner. For resort room or villa rates and additional information visit their website -www.oldbahamabayresorts.com. Blue Cove and Bootle Bay Fishing Lodge are two other properties that have rooms available. Please inquire for additional information. 7. Is there a possibility to see or interact with other wildlife? Yes, the region is noted for numerous endemic and migratory bird species. 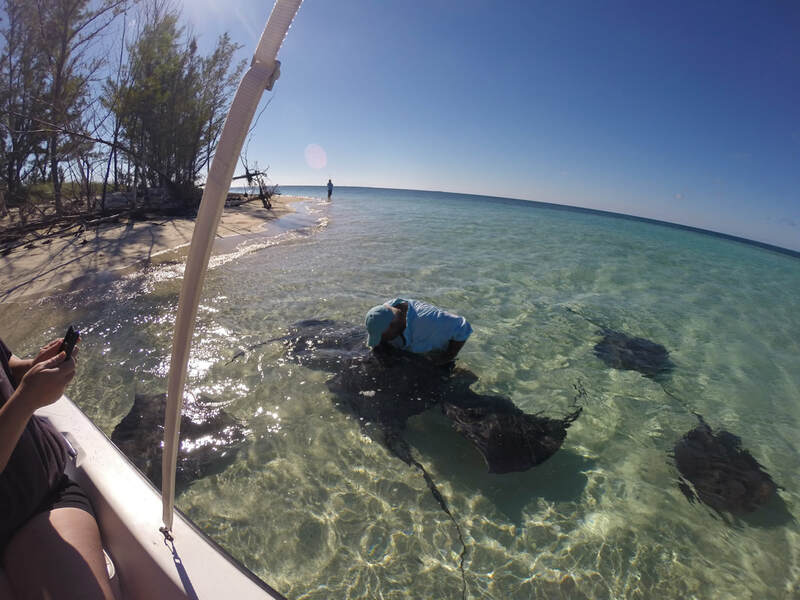 Seasonal marine life includes turtles, dolphin pods and occasional Bahama Manatees are spotted at Old Bahama Bay during the summer months. 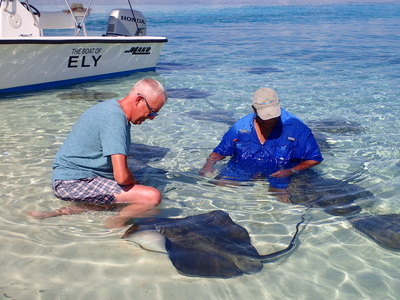 Other wildlife may be observed during the tour include dolphins, sharks, eagle rays and bird life. 8. What happens in case of inclement weather, rescheduling, refunds or cancellation of the tour? When possible and subject to availability the company will attempt to reschedule for the next best day during your stay on the island. If the company cancels the tour for any reason guests will receive a full refund. If guest cancel within 48 hours of confirmed tour date, there is no refund. There is no refund once the tour begins, guest changes their mind or for any unused portions. 9. 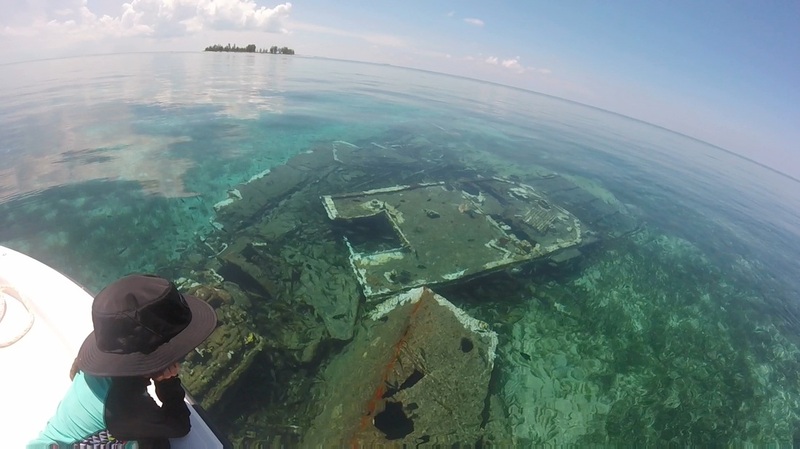 What is the size of the boat and is there safety equipment? 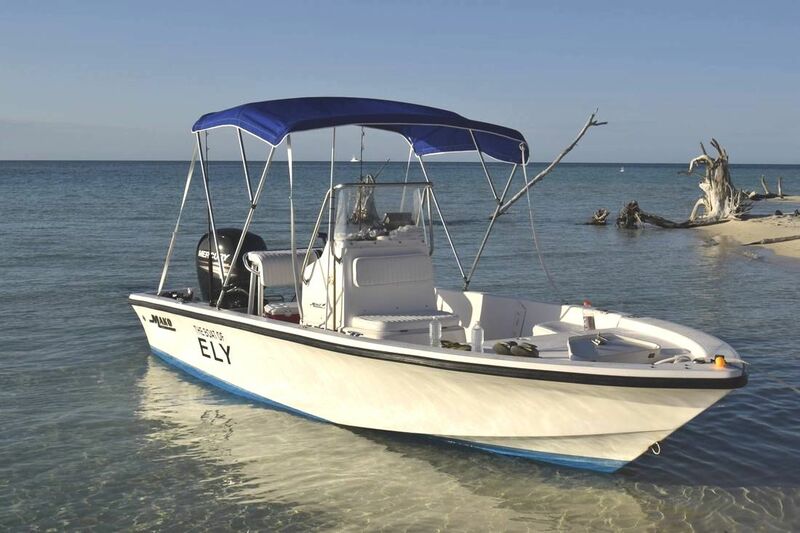 The Boat of Ely is a 20 foot Mako equipped with a 150HP Mercury engine, Bimini top, life jackets, first aid kit, VHF Radio, fire extinguisher and emergency flares. 10. Are there medical facilities and/or doctors nearby? There are two medical facilities in West End. The West End Clinic which is operated by the Bahamas Government and a private practice operated by Dr. Romeo Fernandez. 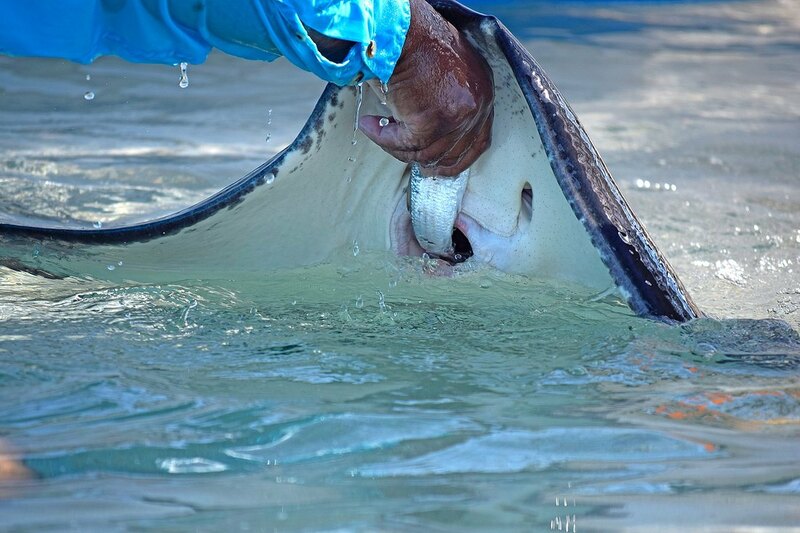 Both are located 3 minutes from Old Bahama Bay. 11. What is the minimum and maximum age to participate in the tour(s) and do you accept handicapped guests? Adults up to age 75 and children starting at age 8 are permitted on the tour. Requests for older and younger guests are handled upon request. Unfortunately, it is not possible to accommodate handicapped guests in wheelchairs or have mobility difficulty. 12. Do you have a website and contact information? Guests are welcome to visit the website at www.westendecologytours.com or Facebook. The email is westendecologytours@gmail.com and phone number is 1-242-727-1156 BS. Response time to emails and return calls is made within 24 hours.